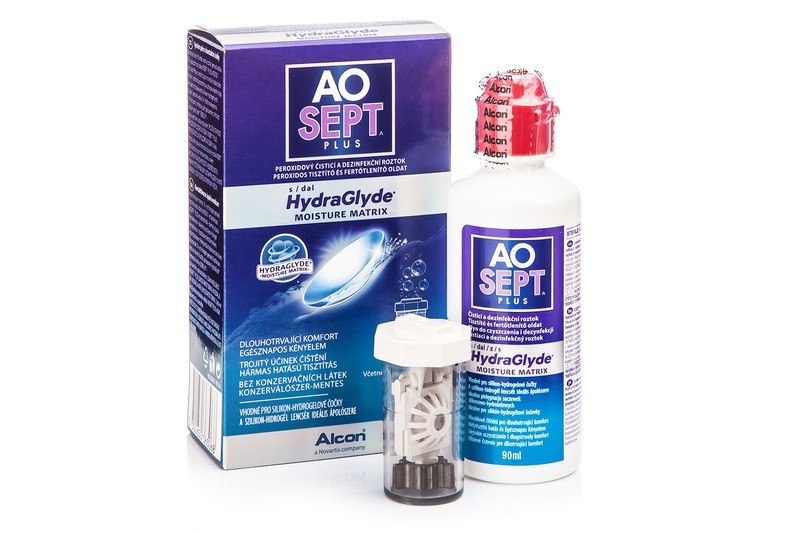 AOSEPT PLUS with HydraGlyde is solution suitable for all types of contact lenses including silicone-hydrogel ones. Based on a hydrogen peroxide reaction that deprives lenses of deposit and other dirt, it leaves them in a harmless solution with no need for other manipulation. AOSEPT PLUS with HydraGlyde combines the power of hydrogen peroxide solution and HydraGlyde technology. This results in perfectly clean and moisturised lenses to bring you all day comfort. Please read the leaflet carefully. Non-neutralised solution must not come into contact with the eye. Where can you just purchase the lens case to store lens in overnight and remove the hydrogen peroxide please? How many days use do you get from the 90 ml Aosept? Hi, You can get about 8 uses from this bottle! Thank you! Hi, Unfortunately, Royal Mail 2nd Class and UPS next day delivery are only making deliveries on working days. So, the 23 wouldn't be possible. Would it be possible to pay extra to receive the solutions by 23 April? I'm travelling on 24 April from mid-day.